You can find the Trader Tinka in Canopia, waiting for you to trade with him. What do you think of todays deal? Slide & Benches at Blueberry Hill! 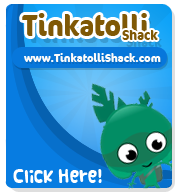 TinkaTolli Merchandise Shop now OUT!